Backup of volume group ubuntu1104-64-5 metadata failed. 後來和前輩討教, 發現我少做了一件事, 就是要先把 file system 縮小, 我縮小的是 block level partition, 他並不知道上面有一層 file system, 所以直接把 partition 縮小會破壞到 file system 的結構. 這是當初 create network 時產生在 database 中的, 其中 vlan 和 bridge 其實當初沒有指定, 不過他預設是使用 br100 和vlan100, 未來如果要切割開來更多 vlan, 不知道要怎麼處理, 不過我想這都只是設定問題, 技術上應該都是可支援的. 另外 project_id 一開始會是 NULL, 但當 create 一個 instance 之後, 就會填上去, 這部份目前也是沒有方式指定網路設定, 而且由系統直接指派. 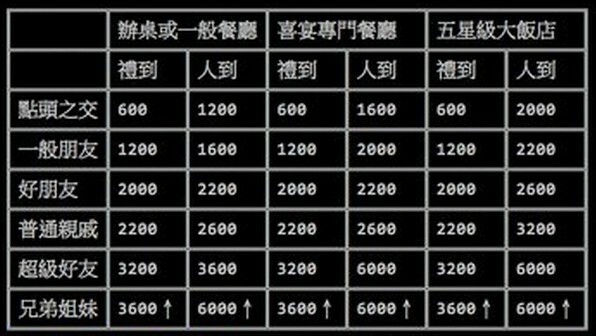 其他 table 有些是空的, 所以可以利用 information _schema 來觀察一下特定的table 有那些 column, 透過 database 的觀察其實可以大概了解 Openstack 對於每個 component 的操作及怎麼聯結, 另外是他現在還沒有很好的 UI 可以防呆, 所以像之前 network 有設錯, 在 database 就有殘存一些無法用 command line 砍掉的東西, 這種狀況下就只好手動進來修 database. 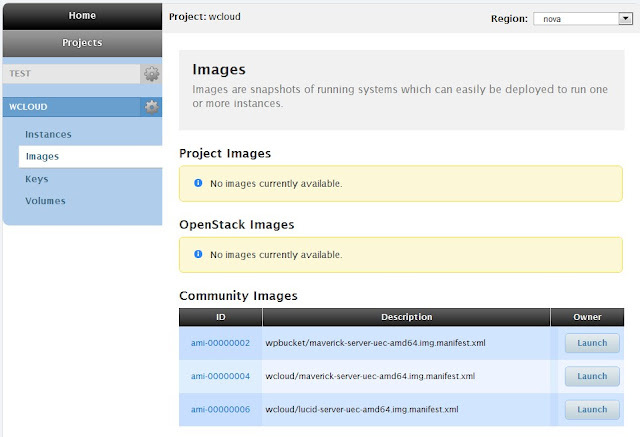 OpenStack Dashboard 裝好後, 就準備透過 Dashboard 來 Luanch Instance. 不過看了一下 Dashboard 的介面真的是很陽春, 也不能透過它上傳 image. 根據 OpenStack 的文件來看, 它應該有支援各式各樣的 image format. 另外是從 OpenStack 的文件看起來, image 應該可以設定只有特定 project 才能使用, 而非所有的 project 都看的到, 但我故意去創建另一個 project 時, 卻發現裡面也有同樣的 image 可以使用, 不知道是不是因為在同一個 user 下的所有 project 都共享 image ? !